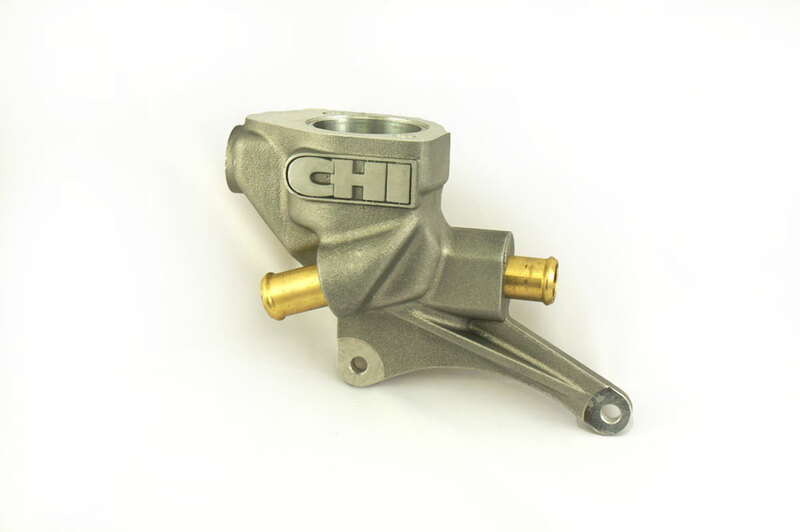 CHI’s water-crossover / bypass housing is the perfect accessory for our new range of inlet manifolds, allowing you to easily convert your 8.2” & 9.5” deck Windsor engines into an all conquering BOSS power plant. 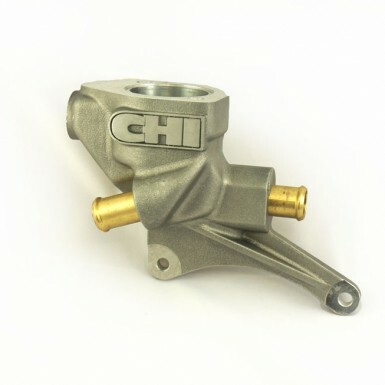 Designed to replace the integral water passage and thermostat housing used on Windsor intake manifolds, our water crossover redirects the water out of the front of your CHI – Cleveland – Yates Cylinder heads, and conveniently relocates the thermostat housing horizontally above the original Windsor position. Our kit comes complete with all the necessary hardware (fittings, hose, hose clamps and mounting studs) to make the installation as simple as possible. 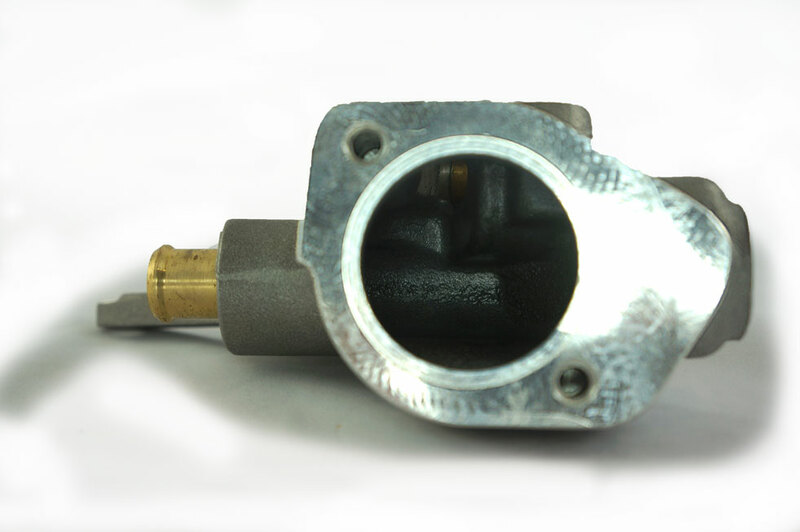 The housings are heat treated for longevity, providing our customers with many years of trouble free service. Installation is accomplished by removing the 2 top bolts of your Windsor timing cover and replacing them with the provided studs, on which the thermostat housing will be located. 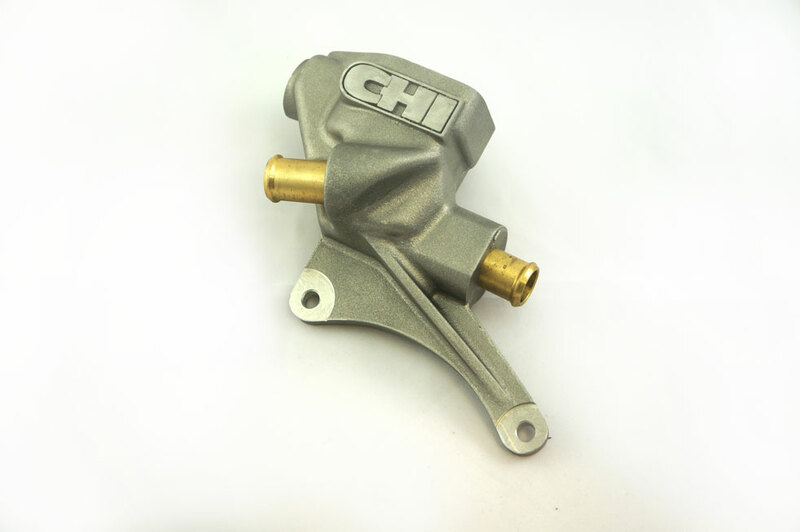 Any customer’s pre ordering cylinder heads and manifolds to suit Windsor blocks, will have their cylinder heads drilled and tapped for our water crossover – bypass housing, from CHI at no extra cost.